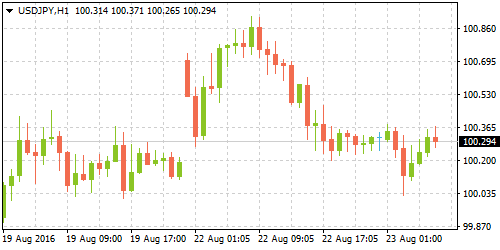 The Bank of Japan’s Governor Kuroda told a regional newspaper over the weekend that following the completion of the central bank’s policy assessment, the central bank could look into easing monetary policy further when it meets next in September. He also said that interest rates have room for further cuts, which currently stand at -0.10% since January 2016. The price of spot gold fell on Monday after a series of hawkish comments from various Federal Reserve officials saw the US dollar being supported. The latest to join the hawkish group was Stanley Fischer who spoke at a conference in Colorado on Sunday. He said that the Federal Reserve was close to reaching its targets of 2% inflation and full employment. 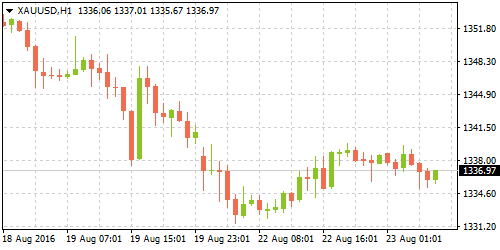 Gold prices eased back below $1350 on Monday extending the declines from last Friday to close the session at $1339.06 an ounce. Wholesale sales in Canada rose in June for the third consecutive month, beating market expectations of a 0.10% gain. Official data from Statistics Canada showed on Monday that wholesale trade in Canada increased 0.70%, underlining one of the bright spots in Canada's otherwise weak second quarter. Wholesale trade was recorded at 56.42 billion in June with May's data being revised higher to show an increase to 1.90% from previously reported 1.80%. This is probably not enough to stifle the upcoming GDP report, which economists think will be bad. 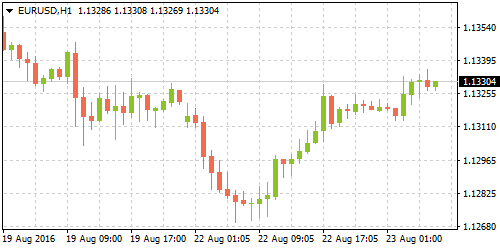 Preliminary estimates for the manufacturing and services sector are expected to be released today for Europe. Flash estimates point to a modest increase in the PMI levels across both the sectors for the eurozone on the whole. 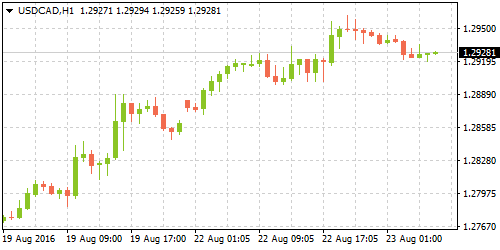 In July, both sectors saw an uptick which surprised analysts who expected to see the sectors in question face headwinds following Britain's vote to leave the EU. Germany’s regional PMI's are also expected to remain steady near July's levels. Flash PMI estimates for August in the manufacturing sector are expecting growth in the index from 52.9 in July to 53.1. The US manufacturing sector has been volatile over the past months after initially rising into expansionary territory earlier this year. In a separate report, US new home sales data is released. Estimates point to a moderate increase of 575k new homes in the month ending July.